Unique designer tables from Ancient Kauri wood for people who love beautiful and exclusive furniture. For people who love rare and beautiful design objects, I craft unusual and unique wood tables and designer dining tables out of rare and ancient 50,000 year old Ancient Kauri wood. Each table is a work of art. I personally manufacture each of these tables from handpicked timbers with novel techniques. 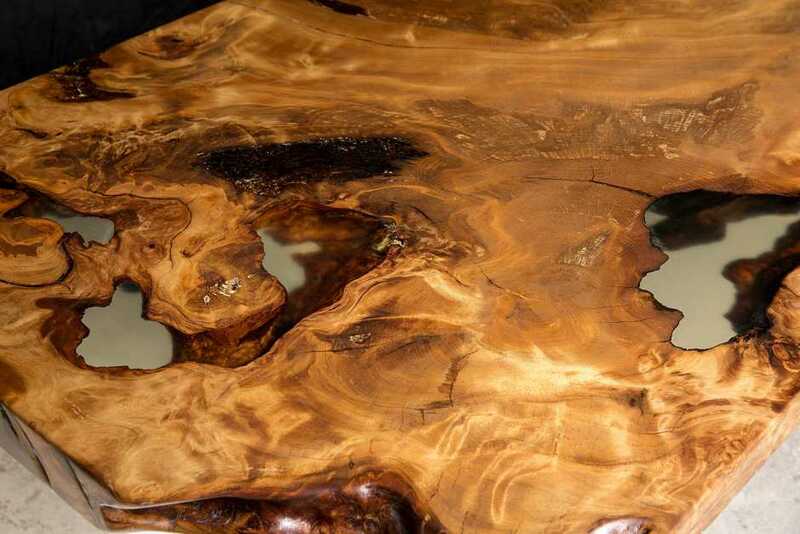 manufactured from a single piece of this Ancient Kauri timber stands for absolute exclusivity. It guarantees you an unusual and unique piece of furniture. 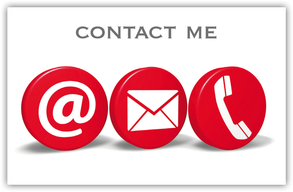 When planning and crafting a table for you, I take your individual wishes into account. I design and manufacture the tables in my completely equipped workshop in Germany. If you need a particularly demonstrative showpiece, e.g. an impressive conference table or a particularly designer table, I can craft exclusive tables of 4 - 6 m length and up to 12 m length. 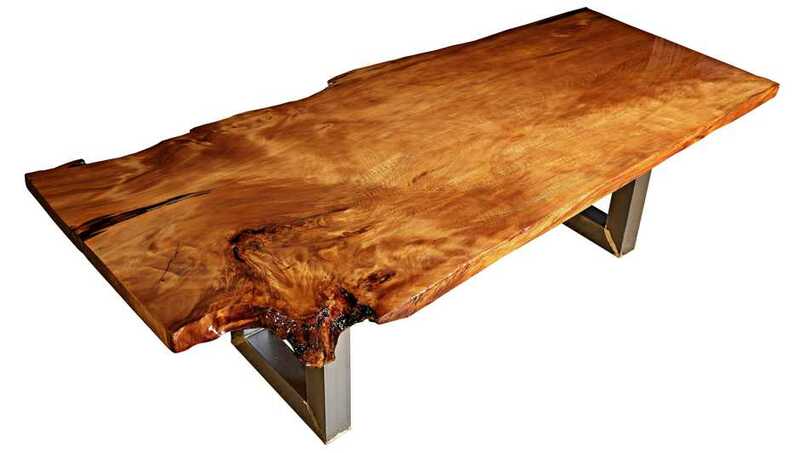 Long Kauri tables especially are particularly suited for large rooms because of their unusual natural characteristics. Every table is a high end product. Only preserved Ancient Kauri trunks are used. The timber used for furniture making does not come from existing living trees. This high-quality raw material is a finite resource that will come to an end. Therefore, each piece of Kauri furniture will increase in value, giving you a viable alternative investment as well as an object of rare natural beauty in its own right. The Kauri (Agathis austalis) is an ancient tree, native to New Zealand. It has its origins in the Jurassic period, 135 to 19 million years ago. been repeatedly felled by natural catastrophes and been buried in peat bogs during the different epochs, sometimes in several layers. In this oxygen poor environment, Nature perfectly preserved the enormous fallen tree trunks and their roots. 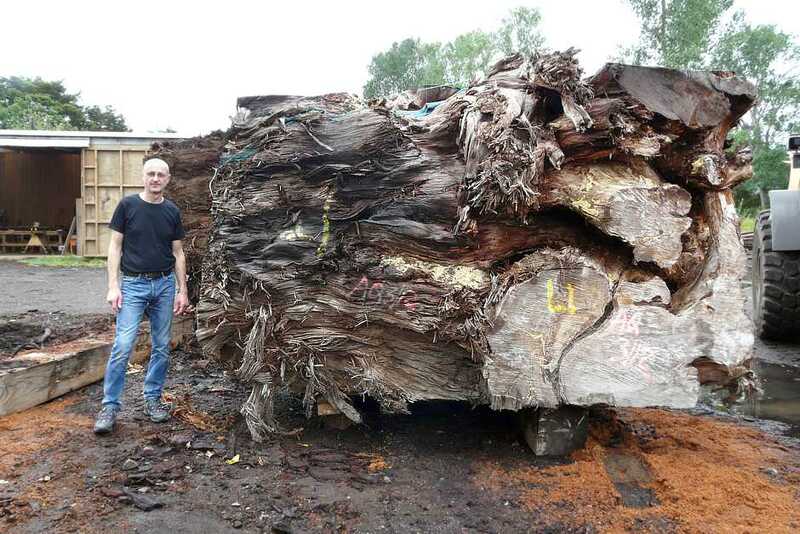 Because of their rarity and finite nature, these Ancient Kauri logs and roots are extracted under strict regulatory control within New Zealand. 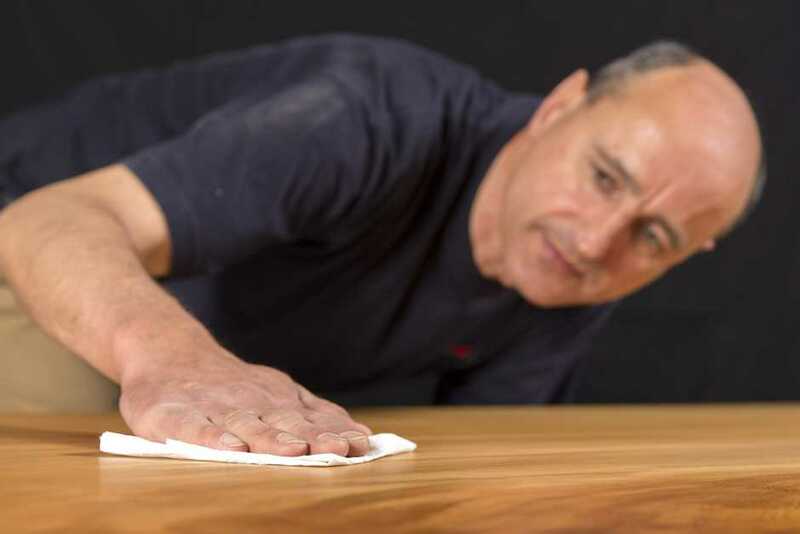 The rare and precious wood is highly prized by master cabinetmakers. Giant Kauri still grow in groves in New Zealand. Today all living Kauri trees stand under conservation. unique and varied grain and a fascinating natural character. 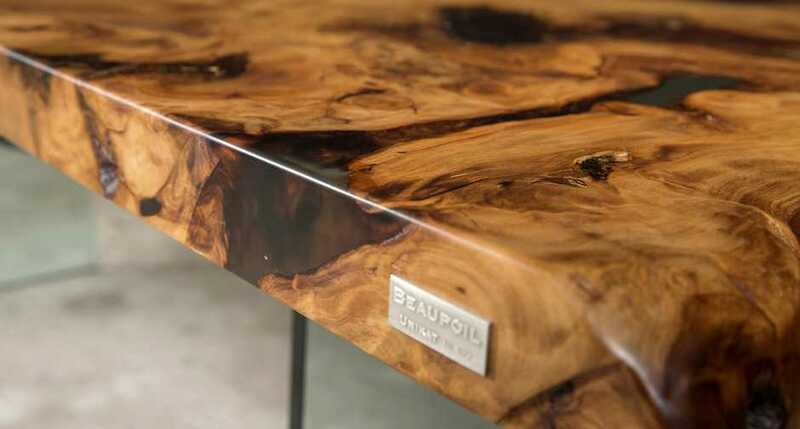 Desk tops from the root are rare and very precious and have a beautiful natural growth. Plates cut from the trunk emit a calm radiance. Each Kauri desk top is made from a single piece. No joint disturbs the beautiful grain along the complete length and width. Nature is visibly expressed through the massive character and sheen. Before treatment, I dry each desk top in my own drying chamber down to a moisture content of 8%. This gives you the greatest reassurance and the probability that the desk top itself will not warp or that a crack will develop later. liquids, without losing its nature and the silky-soft feel of the massif wood table. According to your wishes, I can fill in natural features such as tears and ingrowths with a transparent filler so that they remain and create a fascinating 3D-insight into the wood. You are welcome to visit me in my workshop, where I can show you unworked Ancient Kauri desk tops as well as how I work. Further examples of exclusive tables can be found on my German-language pages. Further examples of Kauri wooden tables can be found on my German-language pages.